This is a substantial anthology of poetry by author Tom Benson. The poems themselves follow a broadly traditional style and format, covering the life and times of the British soldier during times of modern warfare and terrorism. Set amidst the backdrop of Northern Ireland, the Middle East, and Afghanistan, every poem tells a story, each one unique in its own way. The subject matter covers everything from frontline battle operations to the pride and dedication of those who serve, saddening tales of heroism, love, and its loss, and of loyalty and courage. You’ll not find the glorification of death and war as epitomised by Brooke or indeed the flowing prose of Owen in his vivid accounts of its horror. What the reader will find here are the hard, often tragic and brutal, but always true and honest observations of a man whose marched and trudged in the very same boots and in the same wars as the men and events he portrays in his poems. In comparison to these past writers, I would say Military Matters bears more relation to Owen than to Brooke, perhaps on account of, Like Owen, Tom Benson did indeed live and experience the things he writes about, whereas Brooke’s sonnets were borne more from the hopeful idealism with which Britain entered the first world war. Tom Benson neither glorifies nor condemns, but with acute poignancy relates the thoughts, feelings, and accounts of a soldier’s life and the job he does. Whilst the author assures the reader that people and events in the poems are largely fictitious, there can be no doubt amongst the lines and verses there are real memories and experiences upon which some of them are based. I doubt if any serving or ex-serviceman or woman could help but be moved, and pause for thought whilst reading through this anthology. Military Matters also presents a unique and heartfelt glimpse to the non-military reader of a different world and one that helps protect and maintain the peaceful one in which we all hope to live and enjoy our lives. Those readers who have read and enjoyed the works of Wilfred Owen and Rupert Brooke might well appreciate these up-dated, modern-day accounts of war and the military and how they compare. 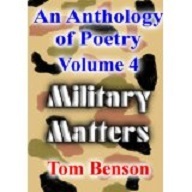 Posted on March 7, 2014, in Book Reviews and tagged anthology, Military, Poetry Review, review, Tom Benson, ~Poetry. Bookmark the permalink. 13 Comments. As the widow of a an ex serviceman who served in N. Ireland and the Falklands but rarely spoke of those times I shall be reading this anthology with great interest and I think the occasional tear. Yes, there are quite a few ‘welling up’ moments in it, especially for someone with a personal connection to some of those times, but well worth reading for sure. And thanks too for the email, I’ll be replying later this evening. I love Owen, so I think I’ll look up this book. Thanks for reviewing this, Paul. Firstly, hope everything is going well with the AtoZ April challenge? And thanks for the retweet. You are of course quite right that I was involved in some of our modern conflicts, and I feel so honoured to have served my country and literally been able to walk away, when so many of our brave Service personnel are not so fortunate. Poetry isn’t usually treated seriously, so perhaps that’s why I cover so many topics. Thank you once again, and I hope your reviewing skill manages to stir up some interest. And may I start off by saying that you of all people have absolutely no need to thank me – you’ve been a great support to me both on here and privately, as well as many others from other comments I’ve seen. Yes, your comrade’s reaction does amuse me, though I can’t say it surprises me – some of mine too have expressed merriment at times at my ‘scribbles on here’ (as one such comrade put it). I can’t say how much interest my little review here will generate as my blog is still relatively small in terms of readership, but it goes without saying I’ll be making personal recommendations to mates I know who would be interested. Thanks for sharing this anthology. It sounds like it’d be a good one for poetry units in school. Your review is well written–you have an approachable, conversational writing style that makes it easy for the reader to keep reading! that even I with my personal understanding of them, can be hard to address without the occasional lump to the throat, But I’m sure as a teacher, that you would have no problems getting the balance right. Thank you again for commenting. Hi there jaime tong. I would agree with Paul’s suggestion regarding the age of the children concerned. Having said that; I have compiled five poetry anthologies so far, and I believe that both ‘Military Matters’ and ‘Natural History’ would be suitable for use in a school environment. I try hard to make my poetry educational as well as entertaining. I don’t consider myself an accomplished poet, but I feel it is a rapid way of telling a tale, or relating information in easy stages. 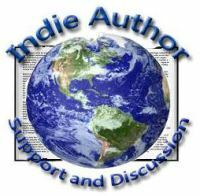 I found the review very interesting and your thoughts on the book gives the reader an insight and option of what the book entails. It’s the first poetry review I’ve ever done so thank you for that, it means a lot. Sadly I’m way too neanderthal to ever write any sort of poetry I think, but I’m still human enough to appreciate it from time to time.